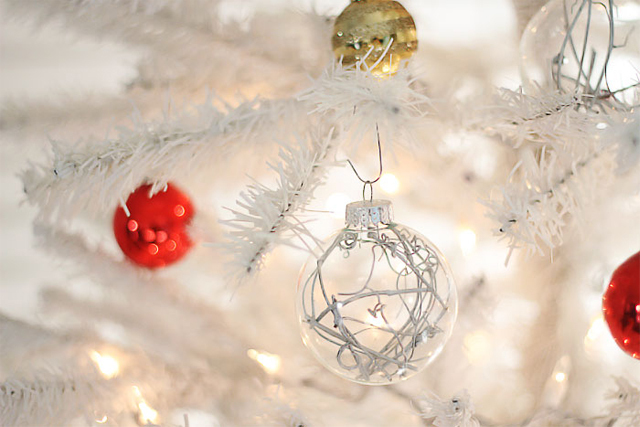 Christmas is now less than a week away (yay!) and I've compiled a list of 5 fun DIY tutorials from around the web, just in case you have a hankering to sit by the fire and do a little more Christmas crafting. 1. 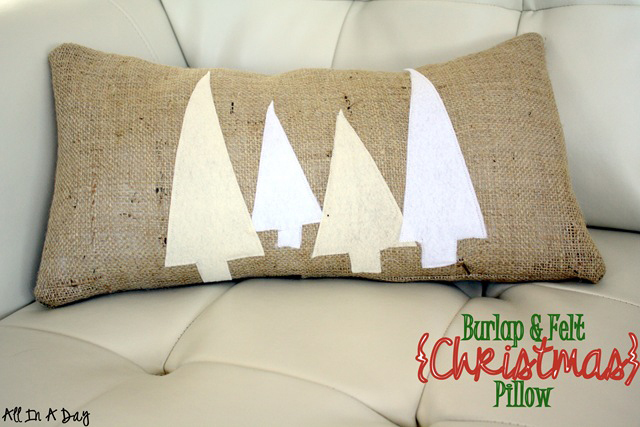 Fist up is this perfectly rustic burlap and felt Christmas tree pillow from All in a Day. 2. Or you could make this unique Christmas ornament from Julie Ann Art. 3. 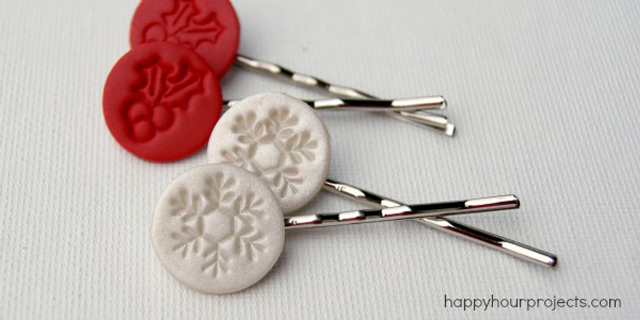 I absolutely love these holiday hair pins from Happy Hour Projects. 4. 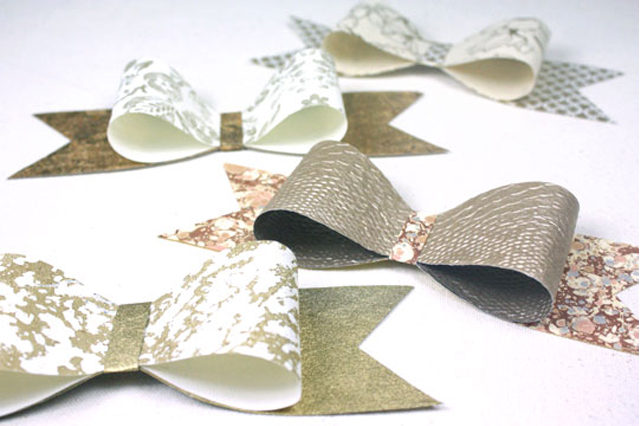 Make your presents extra pretty with these paper bows from Paper Mojo. 5. 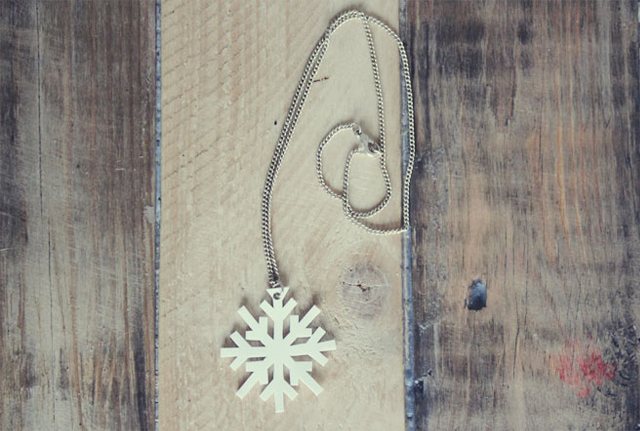 Or try on a wintery snowflake necklace from Lana Red. 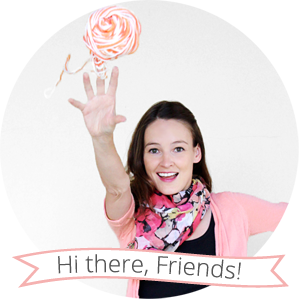 All of the lovely photos in this post belong to the bloggers who created the DIY tutorials. Click on the links to see more of their photos and to find out how to make their festive crafts. I hope you finish up all your Christmas shopping in time to do some Christmas crafting! Hi Laura, thanks for stopping by! Your blog is so cute! I'm happy to have found you; another knitting addict. So many cute ideas! Love the paper bows!